I like Lisa Kleypas historicals, but I had never read her contemporaries. I kept hearing good things about this one, bu the price stopped me. When Macmillan discounted it to 2.99 earlier this summer I snapped it up. The setting for this sweet romance was San Juan Island outside Washington state. I liked the careful details that Ms Kleypas inserted in her description of the island. From the description of Friday Harbor, to the nature that is an important part of the story. That said, what made the book for me was the relationship between Sam and Lucy. One thing that I loved were that nothing felt rushed. The romance unfolded at a pace that felt right. They started out as friends and let it evolve, both of them clear that they made no committments. As their relationship unfolded, Ms Kleypas cleverly wov in the details why they were committment shy. I also liked how both Sam and Lucy dealt with the stinking aftermath of her breakup with Kevin. It could have spoiled the book for me if they had dealt with it differently, but they didn’t. But what I also liked was the sense that both of them had something they were passionate about, and careers they loved, yet they didn’t let takeover their lives. That said, I wanted to strangle Alice and Kevin for their selfish behaviour, and the fact that they didn’t care if they hurt their family. Just.. Argh. The magic element in this book felt unnecessary. It was hardly more than a quiant touch. That said, I applaud Ms Kleypas for having the courage to add it. 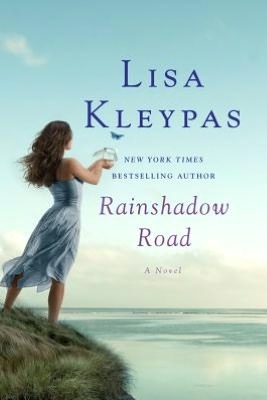 I would love to read a true paranormal romance written by Lisa Kleypas in the future.